Parking lots are limited at AST (Charged as from 1st April 2016). In the event that all available parking lots within AST are occupied, alternative car parks near AST may be found as indicated in the attached map. thanks to my colleagues at eduLab@AST, any Singapore schools in the standard school operating environment (SSOE), can request through the HOD ICT of their school for Tracker to be installed by pushing down centrally through the white-listed software. 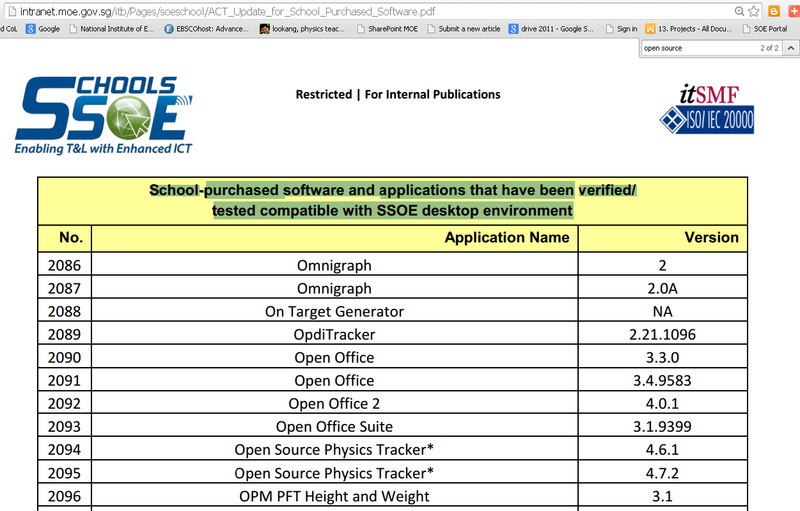 School-purchased software and applications that have been verified/ tested compatible with SSOE desktop environment. Please inform your RO about your attendance at these workshops. Please note that with effect from January 2016, Course Administrator will not be able to accept and generate “Course Placement Letter” through Traisi to the Nominated Participants 3 Working Days before the course commencing date. Traisi system will automatically reject the participants application. Please apply for Traisi course earlier. Presenters will introduce the 8 Practices of Science Education adapted from the Science Framework for K-12 Science Education as the design principles behind this ICT-enabled practice. for analysis and interpretation of phenomena and in-depth model building. Participants will be oriented to the Tracker Shared Library where available models for physics concepts such as free fall, projectile motion, frictional motion and collision model can be found. This project seeks to allow students to be like scientists (obtain real data from physical phenomena, engage in making inference and deducing how the physical world work) through video analysis. Benefits of the project include, student self-directing (Gibbons, 2002) at different pace/depth real-life video analysis, teachers’ differentiated mentoring instructions, using scientific Physics education video analysis tool(s) that are low cost, easy to use and already scaling-up in the world, using the K12 science education framework. I have learnt something new. The learning objectives were achieved. The Instructional resources provided are useful. The presentation was clear. The session met my learning needs. I would recommend the session to others. The questions raised during the session were addressed adequately. The facilitation of the session was effective for my learning. What do you like best about the session? 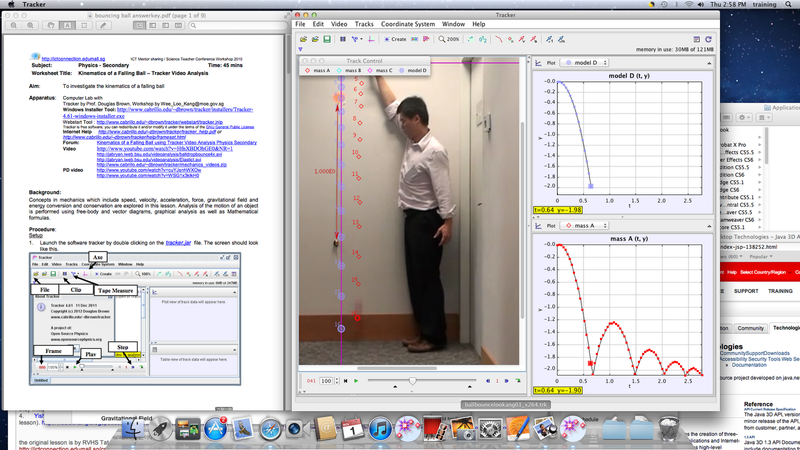 Practical and practice using tracker. What are the areas of improvement for the session? Perhaps clearer lesson objectives at the beginning of the session. However it is good to note that the presenter vary the approach to cater to the needs of the participants. What is your main reason for NOT intending to trial/implement the featured tools?